Enjoy the best inspirational, motivational, positive, funny and famous quotes by Apache Blessing. Use words and picture quotations to push forward and inspire you keep going in life! 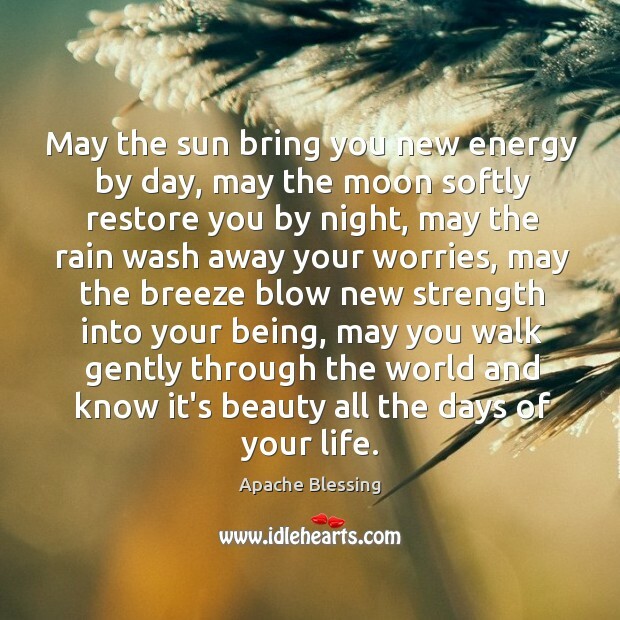 May the sun bring you new energy by day, may the moon softly restore you by night, may the rain wash away your worries, may the breeze blow new strength into your being, may you walk gently through the world and know it's beauty all the days of your life.